Come to campus to celebrate the University, reconnect with friends and honor the memories made and accomplishments achieved at your alma mater. For each day of homecoming, there are different events for students, alumni, faculty and staff. Highlights include the annual chili cook-off, the chalk mural contest, the homecoming bonfire, the Cougars Unleashed Homecoming Run and the SIUE soccer game against Central Arkansas. Mark your calendars for homecoming 2019, and celebrate with us September 23-28, 2019! This page provides up-to-date information on events, activities and other homecoming information. 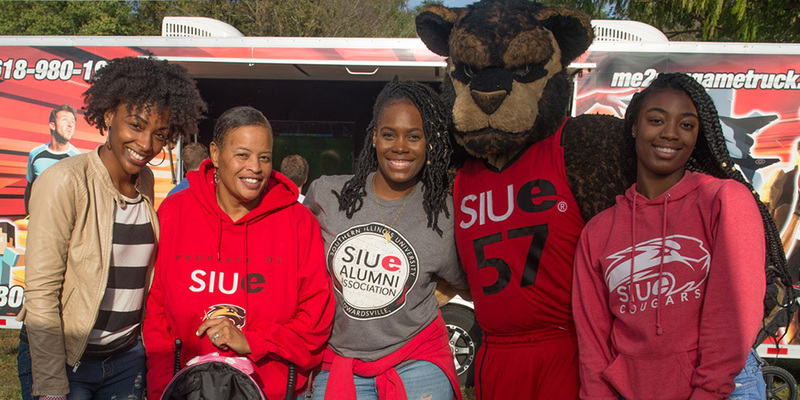 Check back as the year progresses to see details on SIUE's upcoming homecoming celebration! In the meantime, be sure to book your accommodations, as they sell out fast!